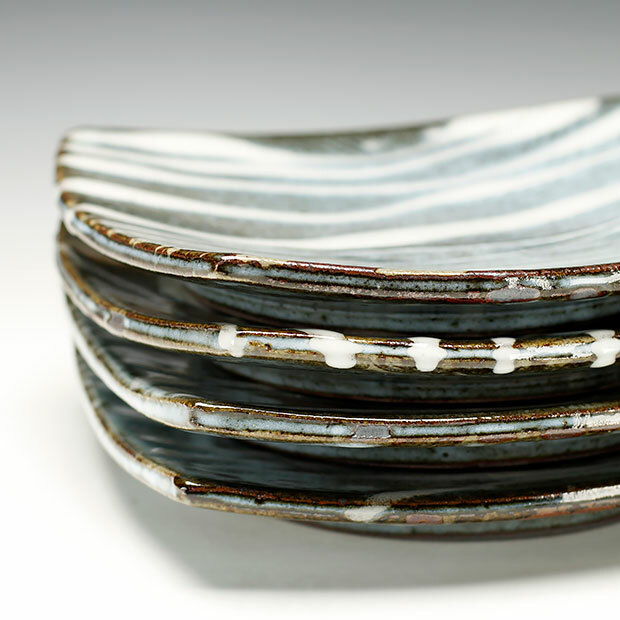 Gas fired stoneware with nuka glaze. 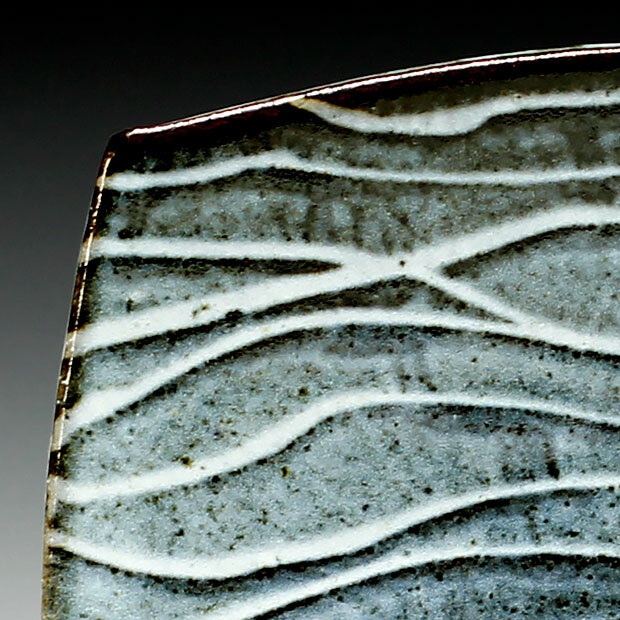 Joe Singewald grew up in the great state of Iowa where he discovered handmade pottery. 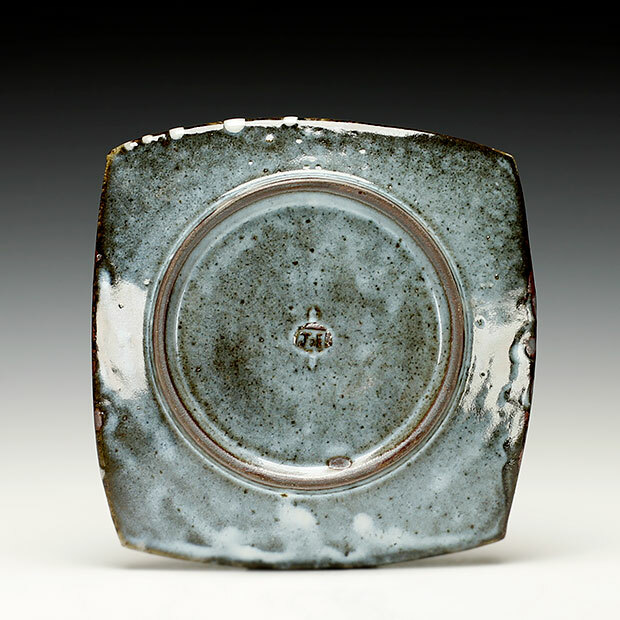 He first studied ceramics with Randy Johnston at the University of Wisconsin-Rivers Falls and received a Master of Fine Arts Degree from Utah State University under the instruction of John Neely and Dan Murphy. 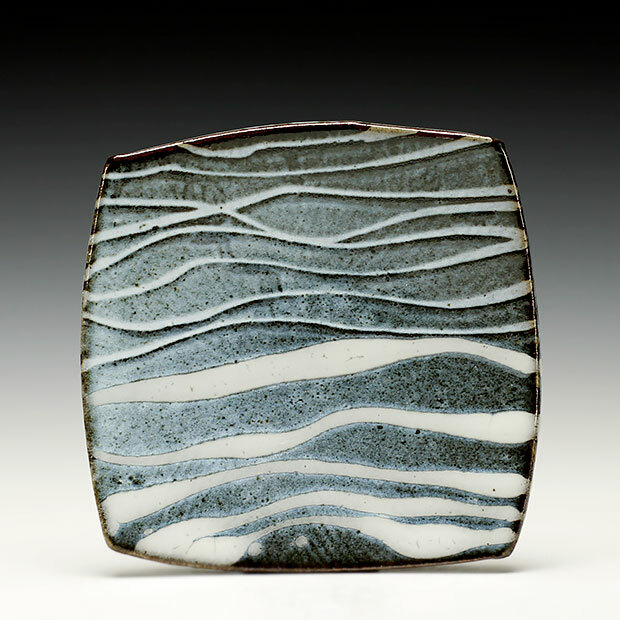 Over the years, he has assisted ceramic workshops at North Carolina’s Penland School of Art and Crafts and at Arrowmont School of Arts and Crafts in Gatlinburg, Tennessee. Joe’s utilitarian vessels have been a part of numerous exhibitions throughout the country. These exhibitions include NCECA 2005 Cay National Exhibition, Baltimore, Maryland; 20+1 Years of the Tozan Kilns: An International Wood Fire Conference, Northern Arizona University in Flagstaff, Arizona and the Utilitarian Clay-Celebrate the Object at Arrowmont School for the Art and Craft in Tennessee. Fall 2008 Joe headed up the ceramic program at Southern Utah University in Cedar City, Utah as Susan Harris’s sabbatical replacement. He currently lives in Cold Springs, Minnesota with his wonderful family. I am a potter because I love making pots. The pots I construct are those pieces that please me. I am not potting with hopes of being rich and I am not making pots with aspirations of a ceramic revolution. I am a potter because I love using pots. My cupboards are filled with stacks of cups and plates, mugs and bowls. Shelves and tables throughout my house display jars, pitchers and platters. Some of this collection I have made, but most were unpacked from other potter’s kilns. Every morning, after coffee has brewed, I choose a mug that seems best for the day. As I grab the handle, thoughts and memories of the potter take over. I love thinking of the maker each time I interact with their work. When I use my own pieces, my eyes follow soft curves while my fingers trace lips and feet, reminding me why the pot in hand was pulled aside and brought into my personal life. All these pieces and all the art that I choose to be surround by enrich my life and while living beside and interacting with, I am educated by what each has to offer. I am deeply satisfied when my ceramic interpretations create an aesthetic attraction upon entering individuals’ private lives. I choose to hand build and wheel build utilitarian pottery with hopes my cups are the first to dirty once unloaded from dishwashers and my vases are the first filled with spring flowers.